Indulge your shiny side and embrace your glitter obsession with this collection of all things sparkly—featuring history, trivia, quotes, and tips on how to use glitter safely and responsibly to decorate your clothes, your home, and your body! Once confined to the craft aisle and the hands of children between the ages of three and nine, glitter has migrated to adults of all ages and incomes—who enthusiastically decorate their hair, faces, and bodies with it, bathe in it, and, of course, craft with it. But glitter is more than something you use or look at, it’s a lifestyle—a state of mind for people who want to sparkle and shine inside and out. Glitter! is the perfect gift for those who are dedicated to adding sparkle to every aspect of their lives. Filled with tons of fun ideas for glittery craft projects—including glitter lip balm and eye shadow, glitter shoes, glitter bath bombs, glitter slime, glitter drinking glasses, and more!—as well as everything else you’ve ever wanted to know about glitter. Glitter! also includes four pull-out glitter-quote cards to frame and hang! "If you love shimmer and shine, you will love this book. It is full of everything you coud ever want to know about glitter and more. 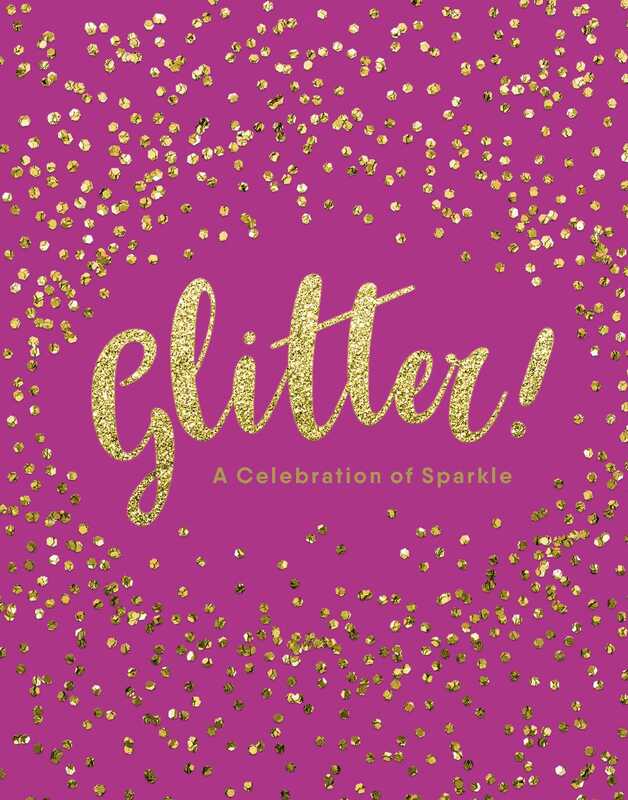 It includes pages on the history of glitter, how glitter is made, projects you can make with glitter, how to best clean up glitter and more… This book is definitely a must have for any fan of the twinkly shiny bright little bits of color." "I think Glitter! A Celebration of Sparkle would make a great gift for anyone in your life with an appreciation of glitter or anyone needing a little sparkle in their lives." "It’s given me a wealth of info on something I love … a very engaging and well-made book." "If you are searching for a gift for the upcoming holiday season for the glitter fan in your life, look no further than Glitter!" Book Cover Image (jpg): Glitter!